Use of conversion charts and factors to convert hardness values in steels is widely done and typically based on ASTM methodology. In non-austenitic steels and alloys, ASTM Method E140 Standard Hardness Conversion Tables for Metals is the authoritative standard. 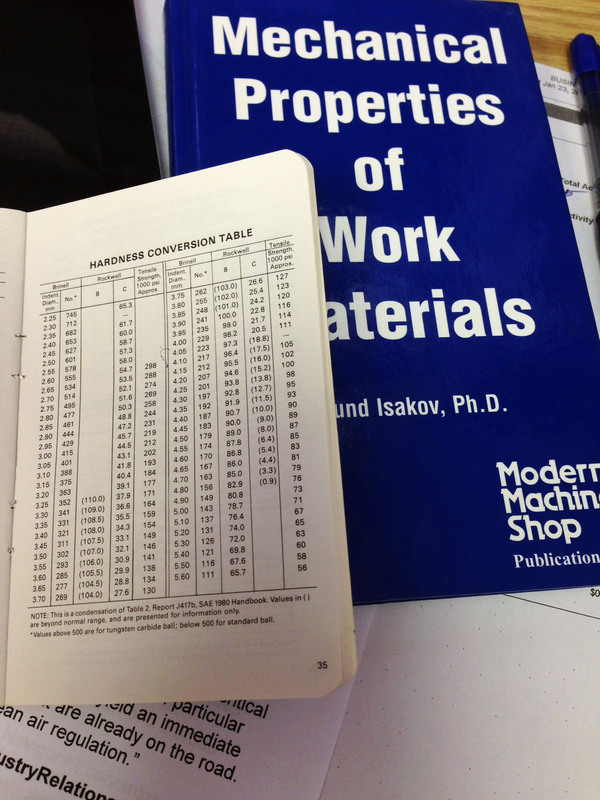 If your work requires a more detailed analysis of material hardness and correlation to mechanical properties, I recommend “The Mechanical Properties of Work Materials” by Dr. Edmund Isakov, published by Hanser Gardner Publications. This entry was posted on Wednesday, March 5th, 2014 at 4:43 am and is filed under Engineering. You can follow any responses to this entry through the RSS 2.0 feed. You can leave a response, or trackback from your own site.